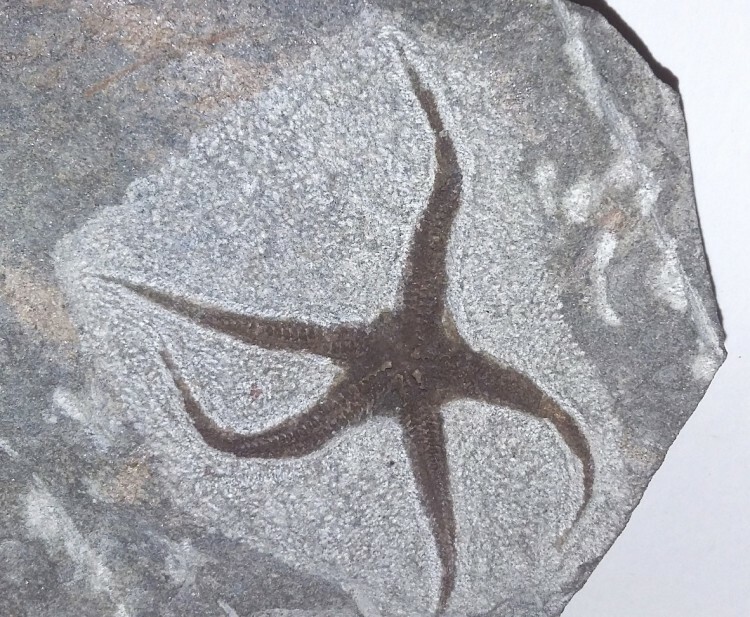 The Brittle Starfish was a member of the family, Ophiuroides, and these creatures date from the Ordovician Period, 488 to 433m years old. They were discovered in Mejran, Morocco. The descendants of these amazing creatures still thrive in the oceans today. 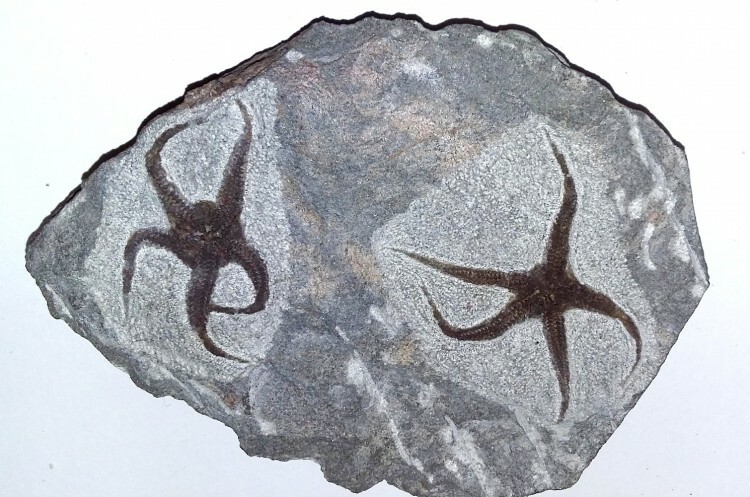 Starfish first appeared in the fossil record in the Lower Ordovician. 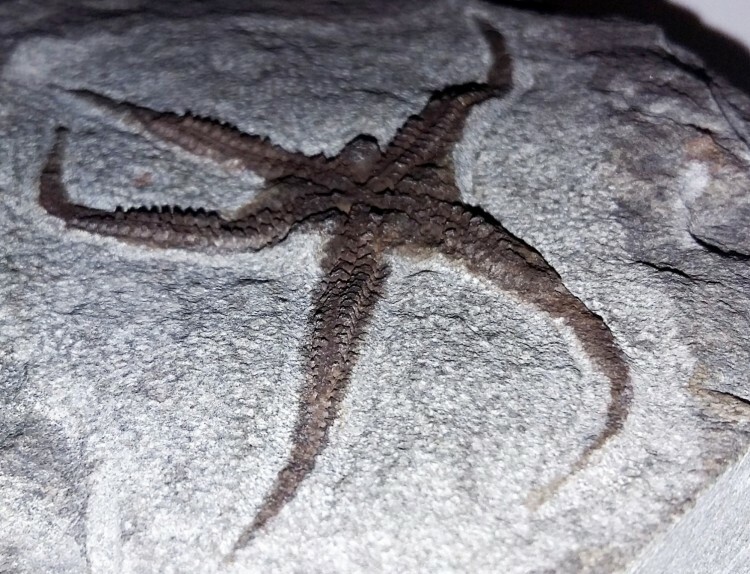 Commonly they have five arms, but some species can have many more. They are fragile, and do not normally preserve as complete specimens. There are over 2000 species of starfish that thrive in the oceans of today. 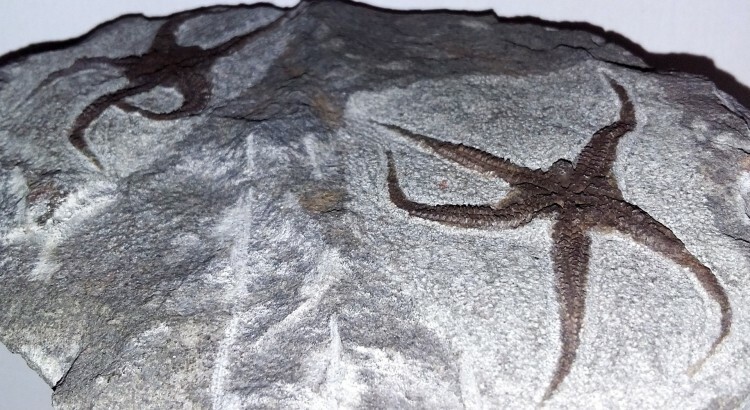 Many Brittle Star fossils from Morocco are merely carved, or painted onto the rock. These are genuine, raised in 3D above the original matrix, and superbly prepared using air abrasion. 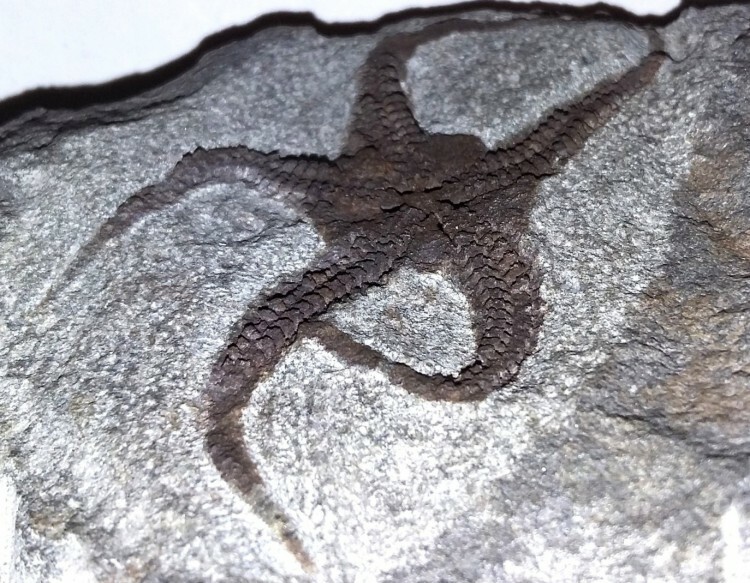 You are able to see every detail on the starfish arms. A great great display piece of outstanding quality.